This is a great app, I’m moving from my current list to this. Is there some reason voice recognition doesn’t tie to the search function? Other apps I have tried, when you use voice, it directs you to the search screen, and only adds the item if not found. The advantage if this approach is that it picks up the aisle if the item is found. Hi, Randy, thanks a lot for your feedback. Even though voice recognition does not work through the search function, if product with the name you said already exists in product catalog, its aisle will be used in shopping list. 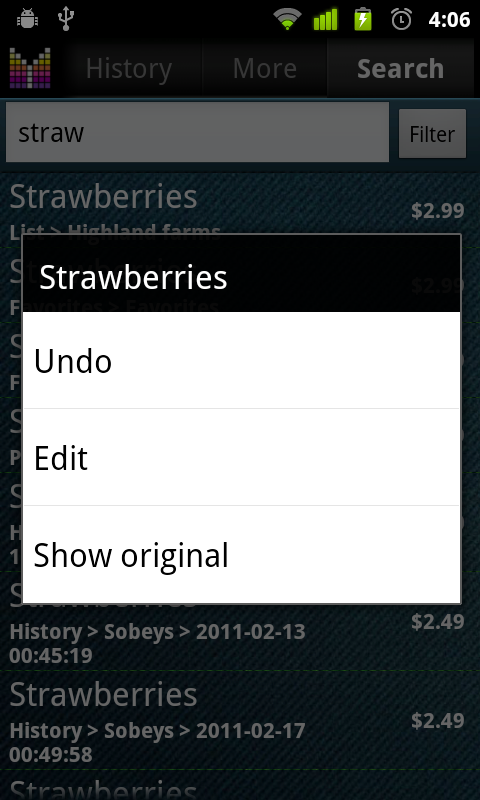 You may also want to try entering multiple items separated with “and” such as “apples and tomatoes”. How can I stop the Unit Price window from popping up when I check off an item? There are two options to prevent Unit Price prompt: 1) tap in the middle of a row, not the checkbox; 2) Set “Details mode” option to OFF in Menu –> Settings –> Options. That is why I bought the full version too. 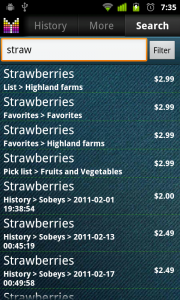 – Recipes management with detailed quantitative data. Keep it up, and thank you! Hi Klaus, thank you so much for your feedback and suggestions. 1) Kindly note that it will be possible to change background and text style using Themes feature planned later this year. 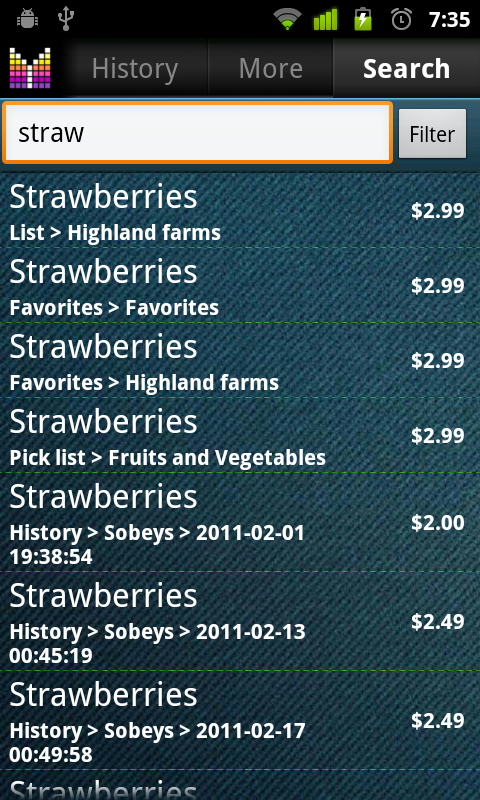 2) There is no store list yet, but you can create shopping list and assign any store name you like. 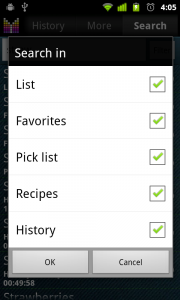 3) Recipe ingredients tab allows assigning quantity of items you may need for your recipe.